Macmillan 1981 328 pp., indexed, 8 pp black and white photographs , photographic illustrated dust wrapper. The memoirs of a one of the most colourful and controversial figures in Australias Political History. A Labor party politician whose charisma and sense of social justice, enabled him to institute changes in South Australia that were soon echoed elsewhere in Australia. During Don Dunstan's premiership South Australia was socially transformed. Among Don Dunstan's many reforms were those concerned with Aboriginal land rights, equal opportunities, consumer protection, town planning and the environment and the restructuring of electoral law. He also encouraged a flourishing of the arts, with support for the Adelaide Festival Centre, the State Theatre Company, and the establishment of the South Australian Film Corporation. After leaving politics Don Dunstan published his political memoirs "Felicia" in 1981. He became the first director of Tourism Victoria in 1982, and then chairman of the Victorian Tourism Commission until 1986. He was national president of the Freedom from Hunger Campaign 1982-87, president of the Movement for Democracy in Fiji from 1987, and national chairman of Community Aid Abroad 1992-93. Always interested in food, and the author of a cookbook in 1976, he established, in 1994, the Don's Table restaurant, The Parade, Norwood, with partner Steven Cheng. He was an Adjunct Professor at Adelaide University from 1997-1999. Dunstan was married twice: to Gretel in 1949, with whom he had a daughter and two sons; and to Adele Koh in 1976. 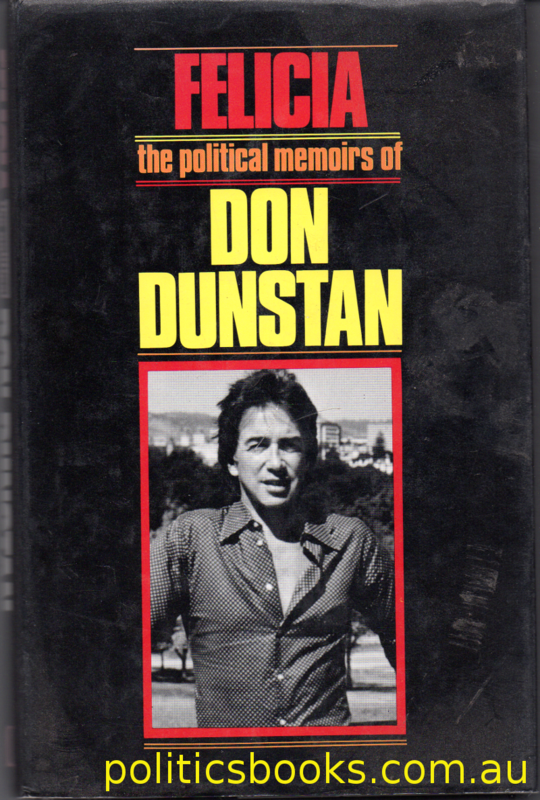 Don Dunstan died in Adelaide on 6 February 1999. A cookbook - written by a Politician!